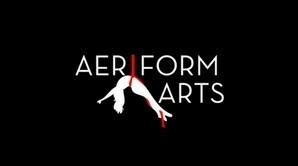 Start taking classes at Aeriform Arts and other studios! In this fun class you will explore cube technique while learning various mounts and dismounts, poses and transitions - leading up to working towards choreographed sequences. We will be spinning in the cube, inverting in the cube, and maneuvering from bar to bar. There are no upcoming “Aerial Cube” classes on this day. For Lyra, Cube, Trapeze, Aerial Yoga, Rope, Hammock & Silks please wear leggings - no slippery clothing & a short sleeved shirt that covers your arms. For Pole class you should wear shorts, boy shorts or booty shorts and a tank, tee shirt, sports bra or bra top. Shoes are always optional - but we do love them! For Stretching, Contortion & BUTI Yoga classes wear what ever you are comfortable moving in but realize you can SWEAT a lot in these classes so less is more & layers work well. No lotions or jewelry. The class itself was difficult but very rewarding! Being with students of all levels of experience allows you to learn from others in the class, as well as share your insight with others. Tamysen is also hilarious and such a wonderful instructor! Tamysen might be the funniest aerial teacher in LA. She gave me some really great recovery tips, too. Tamysen is my favorite teacher. She's so fun! She will challenge you without pressuring you, give clear instruction without overwhelming you, and always sends you home happy. The best. Tamysen could turn your worst day into your best. She's an energetic, inclusive, positive teacher that happens to have serious skills! Tanysen is awesome, fun, and friendly. Came to class a stranger and left feeling like family. I will be back!